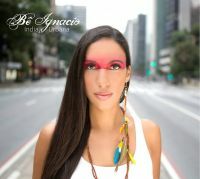 Be Ignacio consist in Betina Ignacio vocal leadsinger and Markus Schmidt. Betina was born in Sao Paulo, Brazil. Her mother is a german immigrant and her father is afro-brazilian. She grew up in a poor and lively neighborhood, spending most of the time in the "Favela" (brazilian slum) where her parents worked as social workers as they co-founded the NGO "Monte Azul". Later she started studying theatre at the "Teatro Escola Celia Helena" in Sao Paulo but she realized quite soon that she wanted to become a singer and not an actress. Therefore she passed nearly one year handcrafting jewelry with completely natural materials, selling it at the Theatre School and at Sao Paulos big Hippie market. After that she buy a ticket to Europe and passed the qualifying examination to study Singing at Stuttgart Music State University, where she graduated in the year 2007. There she met the german musician alias "Marquinho da SIlva" and immediately began to work together. In the year 2006 they met the brazilian Grammy-award winner and guitar player Luiz Brasil, who produced, co-wrote and played guitar on their first album "Mistura Fina", which was recorded in Salvador da Bahia. With his experience and excellence he really brought their work to a higher level. In 2009 Markus and Betina produced the second album "Mistura Natural" in New York with the help of Klaus Mueller, an excellent piano-player, composer and arranger who already worked with Herbie Hancock and other great musicians.